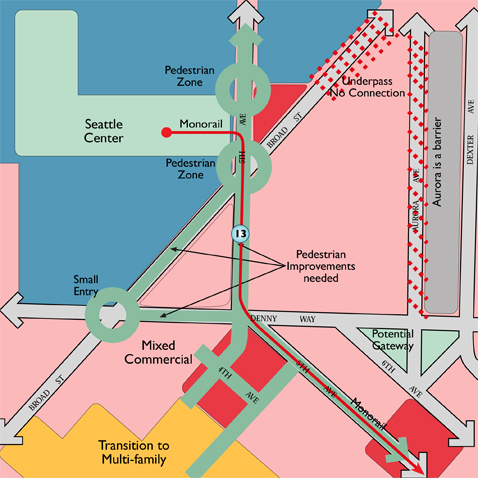 Sound Move, a measure passed by Puget Sound voters in 1996, calls for a regional Link Light Rail, linking Seattle with SeaTac, Tukwila, and Tacoma. The first phases of the system are planned to be operational in 2004-2006. Link is expected to attract more than 100,000 passengers a day. 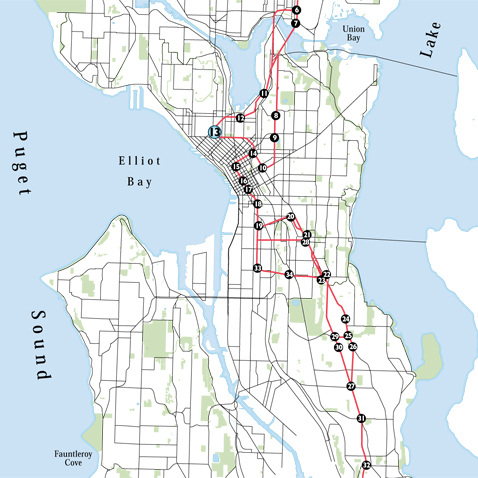 The Central Section of the system, which connects the different districts of Seattle, will include about 20 stations. Dyett & Bhatia led a national team of consultants to conduct market analysis, assess transit-oriented development potential, prepare station area concept plans and a station area Atlas (for about 275 acres around each station) for 30 candidate stations in Seattle. Extensive use of the city’s parcel-based GIS enabled our team to examine the proposed station sites in extremely fine detail. 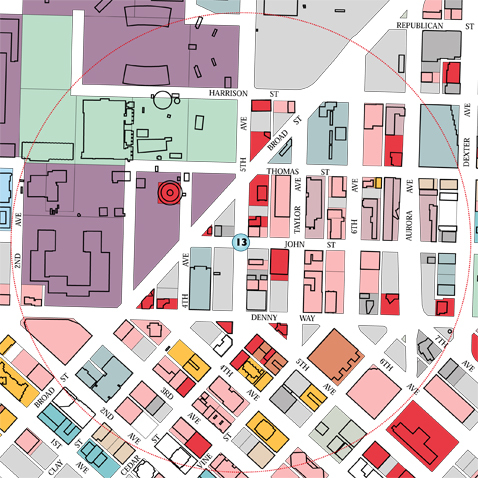 Changes to the City’s Comprehensive Plan and zoning regulations also were proposed as part of a comprehensive strategy to foster transit-oriented development in each station area.